Ash Pahwa, Ph.D., is an educator, author, entrepreneur, and technology visionary with three decades of industry and academic experience. He has founded several successful technology companies during his career, the latest of which is A+ Web Services. Dr. Pahwa earned his doctorate in Computer Science from the Illinois Institute of Technology in Chicago. He is listed in Who’s Who in the Frontiers of Science and Technology. He is also a Google Certified Analytics Consultant. His expertise includes search engine optimization, web analytics, web programming, digital image processing, database management, digital video, and data storage technologies. 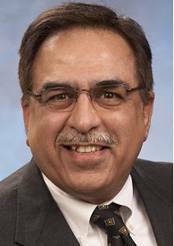 In Industry, Dr. Pahwa has worked for General Electric, AT&T Bell Laboratories, Xerox Corporation, and Oracle. He founded CD-Gen, Inc. and DV Studio Technologies, LLC., which introduced successful products for CD-Recording (CDR) and MPEG encoding. His book, CD-Recordable Bible was published in English, Japanese, and German. He holds a Ph.D. in Computer Science from the Illinois Institute of Technology in Chicago.